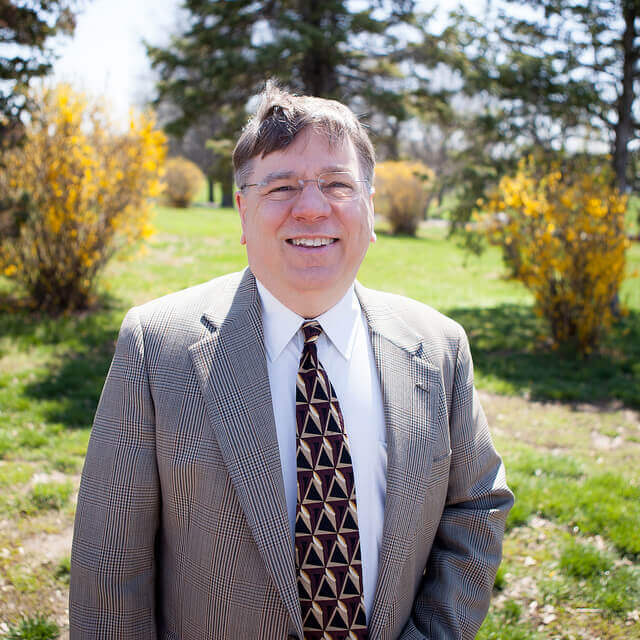 Dr. Steve Andrews is Professor of Hebrew and Old Testament at Midwestern Seminary, where he has served since 1998. He received the Doctor of Philosophy degree from Hebrew Union College—Jewish Institute of Religion, the Th.M. from Southeastern Baptist Theological Seminary, the M.Div. from Eastern Baptist Theological Seminary (now Palmer Theological Seminary), and the B.A. from Carson-Newman College. Before coming to Midwestern, Andrews was Associate Professor of Old Testament and Hebrew at Southeastern Seminary. Andrews has co-authored the Holman OT Commentary on 1 & 2 Samuel (with Robert D. Bergen), which has also been translated into Korean for the Main Idea series. Dr. Andrews translated Zephaniah for the Holman Christian Standard Bible and edited Ezekiel for the same volume. He has contributed chapters in the The Biblical World and Its Impact: Precept and Praxis (Eisenbrauns) and The World of Jesus and the Early Church (Hendrickson). Additionally, Dr. Andrews has presented papers at annual meetings of the International Society of Biblical Literature and the Evangelical Theological Society. He has published articles and book reviews in books, journals, and dictionaries, including IVP’s Dictionary of the Old Testament: Pentateuch and The Encyclopedia of Hebrew Language and Linguistics and Baker Illustrated Bible Dictionary. He currently serves as Executive Editor of the Journal for the Evangelical Study of the Old Testament, an open access journal (www.jesot.org) and its associated Law, Prophets, and Writings blog (www.lawprophetsandwritings.org). In other ministry service, Andrews has pastored four churches and served as interim/transitional pastor for another 15 churches. In addition, he has spoken in a number of academic and Bible conferences. Andrews has contributed to SBC denominational publications such as Bible Studies for Life Sunday School Curriculum, Open Windows, and Deacon Magazine. He is also a frequent contributor to Lifeway’s Biblical Illustrator. He has served as a board member of the Liberty Women’s Clinic, Liberty, Mo., and Up Next! Leadership Foundation, Kearney, Mo. He was named MBTS Professor of the Year for 2003-2004. Andrews and his wife, Tammie, are members of New Salem Baptist Church in Independence, MO. They have four children and two grandsons.